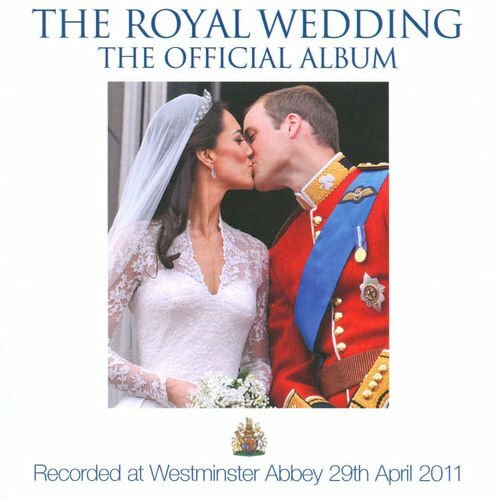 Released just hours after Prince William and the new Duchess of Cambridge said "I do," this Decca compilation is a chance for those staunch royalists to relive the biggest Royal Wedding since Charles and Diana in its entirety. Produced by Anita Barry, this audio keepsake of the historical event features the marriage vows from the Archbishop of Canterbury, the reading from Kate's brother, James Middleton, and the address, the blessing, and the prayers, but it's the musical contributions that provide the pomp and grandeur necessary for such an occasion. Alongside the traditional fanfare greeting the arrival of the Queen and the national anthem, there are more personal selections from the bride and groom, such as organist Robert Quinney's Prelude on Rhosymedre, the Choir of Westminster Abbey's rendition of Ubi Caritas, and the London Chamber Orchestra's arrangement of the march originally penned for the coronation of George VI, Imperial Crown, as well as a specially commissioned composition, This Is the Day Which the Lord Hath Made, from British composer John Rutter. Elsewhere, there are several pieces with emotive connections to the groom's side of the family, including I Was Glad, the Hubert Parry introit that appeared at his parents' 1981 wedding; the congregational hymn Guide Me O Thou Great Redeemer (Cwm Rhondda), which was sung at Princess Diana's 1997 funeral; and Charles Wesley's Christian hymn Love Divine, All Loves Excelling, which was also chosen at Prince Charles' 2005 marriage to the Duchess of Cornwall. Showcasing what the British do best, The Royal Wedding: The Official Album is a comprehensive souvenir of the momentous occasion that appears to have rejuvenated some much needed pride to the nation's monarchy.